How do I install C7 and C9 lights strings on a flat roof? 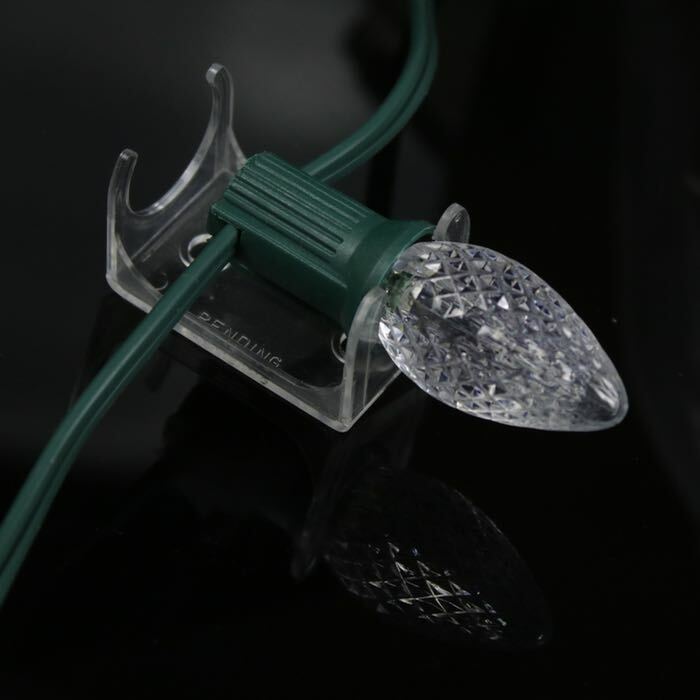 These clips are not for use with pre-wired LED light strings or mini lights since they hole the light strands by snugging in around the area where the screw-in bulb meets the socket. 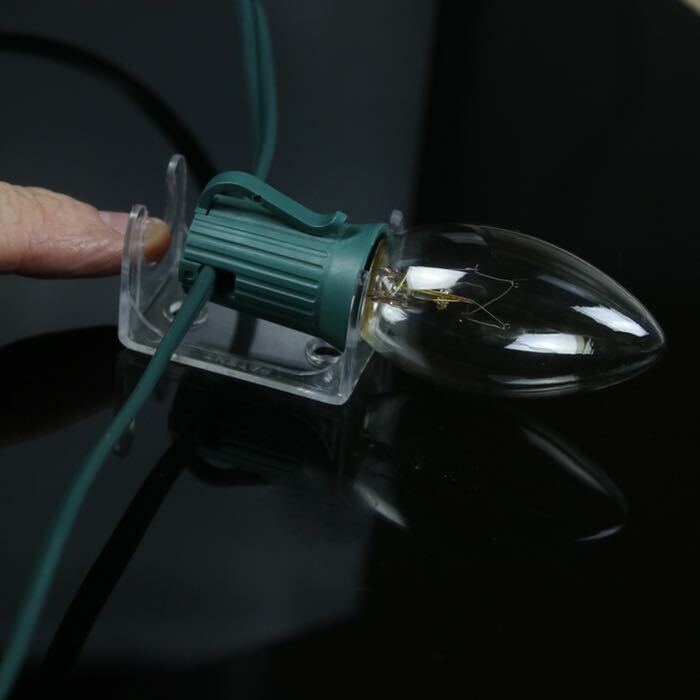 Other styles of lights are too small to be held effectively. 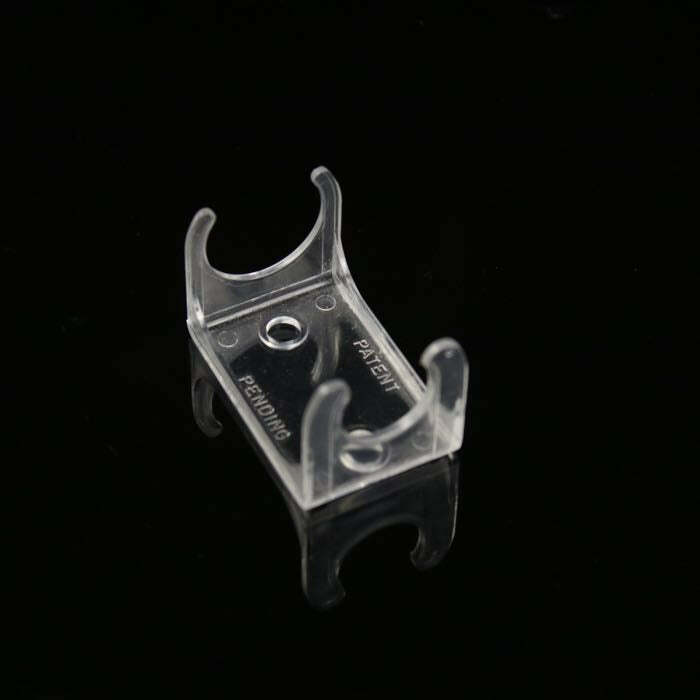 These clips can be secured with your small nails or screws or adhesive silicone. Customers for these clips include commercial installers, hospitals, malls and old-time theaters. Made of high grade polycarbonate, this material is our most durable clip fabrication but like all manufactured clips is not designed for long term installation and carries a 90-day seasonal use warranty. These clips are the commercial solution for installing C7 and C9 bulbs installed in traditional 18 AWG stringer wire on flat roofs or any horizontal surface. These clips are not suitable for pre-wire LED sets and mini lights with smaller bases.